I used a sheet of "xoxo" patterned paper from a 6x6 pad by We R Memory Keepers to make this fun black and white card. This particular pad is part of their Love Notes collection and features many beautiful watercolor inspired patterns. I made a top folding black card base out of Recollections 65 lb. cardstock. 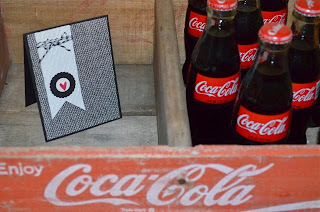 From there, I adhered the "xoxo" patterned paper straight to the card, making sure to leave a black frame around it. To give the card some dimension, I took a piece of white cardstock and cut it into a banner shape. I embossed it using an embossing folder that is also from WRMK. Any embossing folder with a geometric looking pattern would look fantastic! I used my Sizzix scalloped circle die set to cut the black circle and used a small circle punch for the white interior circle. The red heart was punched from red cardstock and adhered to the banner with foam adhesive. To balance out the popped up heart at the bottom of the banner, I tied a bow with black and white baker's twine at the top of the banner. I used a piece of clear tape on the back to make sure the wrapped twine is kept in place. Lastly, I added foam adhesive to the entire back of the banner and adhered it to the card. I love that the entire banner is lifted up off the card and that the heart and bow stand even farther off the base of the card. I chose not to add a sentiment because I felt that the heart is the focal point of the card and plays well off the "xoxo" background. It could definitely be used for anniversaries or Valentine's Day! Thanks for checking out this fun card! I will be making more cards with this paper pad and will be uploading them soon! 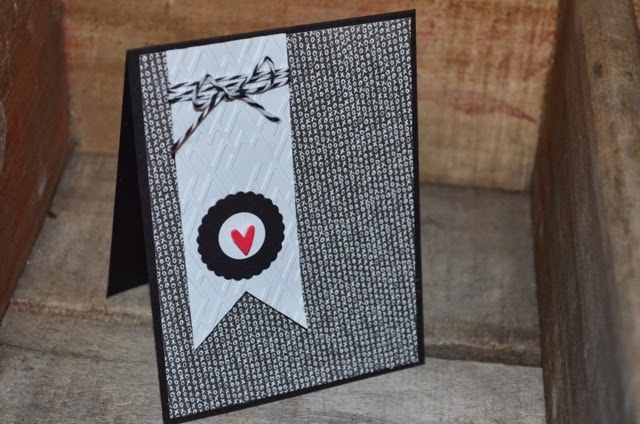 Get the WRMK 6x6 Love Notes Pad from Simon Says Stamp!